"Must have Influencer Marketing App"
Dovetale is a user friendly and yet an extremely rich platform that provides key influencer marketing analytics that are essencial in digital marketing strategy currently and even more so in the future. From startups to established brands, Dovetale is key in managing influencer marketing strategy. Is ever more challenging but also more important than ever to find the right and most authentic partnerships when using social media. Dovetale has provided the analytics that my company needed to identity the right influencers to my audience across the globe and also a way to monitor their performance. Although Dovetale covers what it commits to, it could easily be the only platform when it comes to managing instagram, not only managing influencer marketing, but also content planning. Generally speaking, I believe that it could easily provide an integrated solution to social media as it is already doing the hardest part of it. I would recommend trying Dovetale and testing its key features. I am using Dovetale to Identify relevant influencers and to dismiss irrelevant ones, to manage influencer marketing campaigns and to monitor my competitors on social media. "Dovetale is simply the best data analytics provider"
Make more sense of disparate data sets from various platforms all in one place - finally! They have some of the best image recognition technology to find influencers that have the same look and feel of custom campaigns. It would be great to support even more platforms. A good example of this would be new and upstart platforms that do not have the level of robust analytics required or API to make sense of the data just yet. Ask yourself; what do we know today about the platforms we have spent money on? What are the actual results (not just likes and thumbs up) about the campaigns that we have run? They say you can't improve what you don't measure, and Dovetale gives you a way to measure your campaigns that simply didn't exist before. As the worlds shifts to incorporate what used to be called influencer marketing, Dovetale provides the most robust analytics that decipher the psychographic and demographic profiles and sentiment analysis of campaigns. It is impossible without them to understand how social campaigns perform. "Our unconditional go-to Social Media Analytics Tool." Dovetale provides all of the necessary insights from all our Social Media campaigns, just by clicking a few buttons. You can either ad your Influencers / Creators prior to your campaign, or copy-paste their posts into the fields and have it generate a beautiful report for you. An easy to use service providing all of the metrics that our clients like to see, in a comprehensive, interactive, and efficient way. Generating reports is easy, and I'd like to admit almost even fun. The support team is super solid and every time we have a question they answer within minutes. The only feature we look forward to is one which will allow sharing a link to your reports in view-only mode without having your client or recipient to sign-up / sign-in. From what we know, this feature is coming soon. If you have any questions, be sure to get the Team to onboard you and guide you a little. The software is super intuitive but their support team is really hands on and happy to help. "Clean intuitive design with a robust set of features"
I love Dovetale's clean intuitive design and ease of use that allows me to find influencers across different categories and benchmark competitiors. They make it easy for me to compare different influencers, brands, or companies across several social platforms in one view. They also have an integration into Domo, a business intelligence platform, that allows you to discover all the data they gather at a deeper level. They have built a connector that brings all their data into Domo so you can combine that data with other data sources you care about to tell a bigger story. I wish the platform had some advanced visualizations that showed something like clustering depicting how closely tied I was with certain influencers or audiences. I think having some advanced visualizations could add some unique value. Trying to compare different competitors and benchmark social performance. Dovetale provides a really easy way for me to add accounts and view metrics such as followers and engagement for my competitors. "Incredibly helpful tool in the social media space"
Dovetale has offered the best analytics that I've seen from a tool in the social media space. The platform is continuously evolving and the features get better every month. Dovetale is our go to tool when dealing with anything related to influencers. Notably, Dovetale has one of the best databases of contact information for influencers and makes short listing a long list of them a breeze. Its reporting feature also makes it very easy to index results of campaigns and measure outcomes. The UI can be a little unintuitive sometimes, but the tool makes up for it with its extensive feature set. There isn't much to dislike as the platform is still being developed so there is a lot more to come in the future. We help a variety of clients vet influencers and vet their social media strategy. Clients are constantly looking for ways to vet any influencers that they are considering working with, and as we're asked what tool to use we constantly recommend Dovetale. "Awesome, powerful platform with utility beyond all other services!" Dovetale offers a number of features that I can not find on other platforms. Their software is able to provide real-time updates and insights about ourselves and our competition. The platform itself is completely built and works to our needs. Having said that obviously there are edge cases where certain features have difficulties if you mess around too much, however if you let the team know all things are fixed withing a day. The trial is great to understand what you are going to get out of it. Once you try it you will see the value very quickly and more than likely be interested in the full software package. Dovetale is mainly saving us time and money. We are able to execute on our influencer strategy with more precision and which creates better more trackable results, with less time necessary when getting started. "Best platform if you use any level of influencer marketing"
Ability to access influencers' follower demographics/metrics. Nothing Dovetale can really control, but sad to see the extremely high rates influencers are asking for even though they don't produce sales and their accounts are small. Chat with Mike or Matt to see which package is the best for your needs - they don't try to pitch the biggest/most expensive package just for the money, but rather, they want to make sure you choose the best option based on your needs. We're able to specifically search for influencers who fit with our brand, and use filters to make sure their audience/followers are in our exact demographic. Also the fact we can make lists of similar influencers' and group them together keeps everything so much more streamlined. "Take your influencer marketing to the next level"
Dovetale is still a system that's developing. The database is getting bigger every single day, but the positive is that you're still able to upload any missing accounts to the system within minutes. With Dovetale, we're able to pull stats on inbound influencers. This way we can offer them a competitive rate, and also analyze whether their following is in markets that we serve. Most importantly, Dovetale gives us stats on how many 'bots' an influencer has. Many influencers have fake follows nowadays, and its increasingly important to ensure we're getting the best bang for our buck. "Awesome Social Media Management & Analytics Tool"
Our team uses Dovetale daily to analyze the effectiveness of specific influencer marketing campaigns and the space overall. We only choose influencers for brand campaigns after running them through the Dovetale system first to see the extent of their reach and engagement. The customer support is fantastic. Anything I've disliked, I'm emailed one of the highly responsive founders about and they've put in a hot production fix. The Dovetale team is responsive, helpful, and genuinely interested in listening to customer feedback to build the best product. We're able to weed through influencers using their audience tool. Some influencers seem great on the surface, but after a Dovetale analysis, we've found that they have a high percentage of "bot" followers and wouldn't give brands a positive ROI. The Dovetale interface is easy to use, and their audience data is succinct and exactly what we need to communicate the value of these creators to our clients. Advanced searches can take a little long, but the Dovetale team has been extremely responsive and helpful with tips to source our campaigns. Reach out to the team if you're having difficulty. We found the interface intuitive, but didn't realize how much more effective our searches could be until we worked with Mike and Matt on our first few campaigns. As our agency continues to build out our influencer marketing capabilities, the Dovetale platform and team has been instrumental in helping is source quality creators and advocates for our clients' campaigns. "Dovetale Will Make Your Life Easier!" The reporting system - I love being able to drop in the instagram links from my influencers and quickly build stats and reports for different clients. It will make projects 10x easier!! I also love being able to build out different lists and campaigns. As much as I love the reporting I wish there was a better way to share the beautiful reports with clients instead of the busy excel option. I also dislike how lots of influencers I have interest in aren't in the system and that it takes time to see their info. I would also love to see analytics on all the followers instead of the engaged ones. It helps organize your projects! Familiarize yourself and learn the software to use it to it's full advantage! Reporting and all the data with it is life changing. Also going more in-depth with their engaged followers has been great! "Incredible product, team & customer service"
The entire suite of Dovetale tools is extremely easy to use and intuitive. The product has a beautiful workflow and a wide range of tools that support everything from influencer discovery, to reporting, to payments with w9 support. The team is also extremely responsive and always willing to listen to my feedback. New and helpful features are always being added and my experience of using the product over time just got better and better. I have very little to complain about when it comes to using the product. I would love to see a Dovetale plugin for Shopify (that doesn’t exist today). However, I’ve talk regularly with their team about it and they’ve been very helpful and responsive. If you’re looking for the a fantastically easy to use product and a team that listens to every customer, choosing Dovetale is the a great choice! I took a long time looking for an influencer marketing platform that met my needs and was affordable, and I couldn’t have been happier to find and choose Dovetale as the solution. They move fast with new features and updates, and listen to all customer requests. Really rooting for these guys and highly recommend checking them out! Dovetale has really helped me streamline influencer marketing process, but they also have helped me learn a lot about optimization of campaigns, important metrics for influencer marketing success and the importance of influencer marketing strategy and success within companies. The main benefit I’ve realized is the amount of time saved searching for influencers and also learning more about proper influencer marketing process. "Productive Tool w/ Amazing Customer Service"
1) They've made their search engine feature *super simple* to use, while also adding more advanced functionality for those that need it. I've been looking for a simple, filter-based search engine for Instagram for a while and this is it. Although that is the core of what I use Dovetale for, they have other tools within the product that I've found super helpful as well -- from influencer payments to a recommendation engine. 2) Fantastic customer service that doesn't hesitate to guide you through their product and is super responsive. They've helped me conduct searches, understand the core functions of their product, and have even offered tips for my influencer campaigns based on their expertise in the space. The product provides tons of tools and features in order to be your one-stop-shop for influencer campaign management. As a result, that can sometimes be a problem. At times, it may feel like there are too many features implemented in the product, which from a UX standpoint may hinder the simple/straight forward experience that I love about Dovetale. It's not a huge issue and is probably more specific to those that are only using it for 1-2 key features, but definitely something I've thought about. Searching for and finding the right influencers, and being able to determine right off the bat who is worth working with and who isn't. Given that Dovetale provides analytics on the influencer as soon as you discover them, you can see if their engagement and growth rate is a good fit for your brand before even viewing their profile. The image previews are also fantastic, allowing you to get a deep dive into the influencer's profile without leaving Dovetale. Love the ability to see an influencer's demographics and being able to really narrow down the filter for the types of influencers you want. Exporting lists is super easy. When exporting a list from Instagram influencers, most emails don't get captured but that's due to an Instagram update. Wish there was an easier way to tell if an influencer is in multiple lists. Scaling up our influencer marketing and being able to find 100's of people in a small amount of time. "Best tool for qualifying prospects"
"Dovetale provides valuable insights and streamlined our influencer recruitment process"
The Dovetale team is extremely responsive to feedback and helps troubleshoot any and all problems in real time. Their technology is a valuable part of our tool-kit for influencer outreach and has been an asset in our campaign management process. There are still some features I'm waiting for them to implement but their current tools do a great job of giving us what we need for the time being. Absolutely worth trying. I've used numerous tech platforms for similar services and find Dovetale to be a terrific tool. The team and support behind the tool are by far the most responsive I've ever worked with and they are extremely open to client feedback. They help us streamline our outreach and vet creators that we recommend to our clients. We've been able to quickly review creators an assess their viability for campaigns. "Accurate, Comprehensive and Important for anyone who works in Social. " Inputting content, and tracking real-time results is very important for my business. Dovetale makes it easy, without having to ask my clients for personal information or login info. I wish there were a way to break down the reports per creator, and the analytics per creator. Our Clients need to track their sponsored Instagram posts. We mediate relationships between brands and creators, and need to prove a result. Dovetale is essential to our process and proving to brands that their product is seen. "Dovetale allows us to make educated decisions "
Dovetale lets me vet proper influencers for social campaigns with up-to-date analytics when determining who has the best engagement, where their followers are from, and so much more. I honestly use Dovetale every single day and their continued improvement in their platform and communication when I need help/have questions is unmatched. It's a relatively new platform, but they always are open to suggestions on how to make it more user-friendly. REAL engagement rates, sourcing influencers based on niche. "Amazing UI and really simple to use payments system"
We really love the payments and tax form management for all the influencers we work with. i work at a small boutique agency part time and this really helps me with some of the worst parts of my job. i really love a lot of what they are doing at dovetale. they share their upcoming features and i always get on the beta versions. i really cant complain. when they asked me to do a review, i gladly wrote this as i think it´s the best software our agency has used in a long time. try the payments it will really save you a ton of time with the irs. we identify influencers, pay influencers and use dovetale to report all results to clients. "Dovetale delivers exactly what I need and nothing that I don't"
The focus on the core offering: delivering the data I need on the type of social accounts I have identified. I vetted many similar vendors: it's a field crowded with tools that deliver surface level analytics. Dovetale is a fraction of the cost of many competitors who offer bundles of functionality that we don't need. Would like to be able to access more detail from the web UI - though it's easy enough to export and look at these details in excel, etc. The interface is great and easy to use. Love the ability to search by picture. Couple features missing but the Dovetale team is always listening to community support. Talk with the Dovetale team if you are unsure about using the software, the team is super helpful and will walk you through anything you are unsure of. Solving the ability to find niche influencers to fit a specific brand's needs/KPIs. Benefits have led to mutual fits between brand and influencer. "Making life easier, one report at a time"
Customer service is incredible. No matter what time of day, someone can help me through questions I have and it is greatly appreciated. The reporting system is killer and breaks down the nitty gritty that used to take ages to do. Now I can deliver a professional and beautiful recap presentation in a matter of hours versus days. Not all influencers we search for are found in the software. The search function does not search as widely as we would like. Would love an export function for recap that also includes images, maps and charts just as I see it myself in the interface. "Amazing tool for finding influencers that match your brand"
I don't dislike anything, but you can say I'm looking forward to some additions, like being able to sort a list by audience size in a specific platform instead of total reach. Finding the right influencers to reach, which gives us a much more focused workflow and starting point. "Really great analytics and reporting"
i would love them to have more reporting for snapchat, but i think this is pretty hard from what we have heard. overall though its really hard to dislike it..
my team is using dovetale for reporting and analytics. we speed up a bunch of our process and we're able to do more campaigns in a shorter amount of time. "The First Beautiful Enterprise Influencer Platform"
The design (UI and UX) are beautiful. It's very easy to use and everything is clearly displayed. Occasionally there can be lag in the platform, but for the most part, it's great. It's the only software that easily consolidates everything into one platform. I am able to see data that social media platforms don't openly provide in one cohesive platform when evaluating influencers for my business. Dovetale helps bring efficiency to what can sometimes be a very inefficient and time-consuming process (influencer marketing). It's saved us a bunch of time and effort. I can't think of anything... Just typing to hit the 40 character min. Our company works with influencers from all over and many different verticals. Their search feature has helped us to locate the right type of influencers that will help us achieve our goals. "User friendly influencer platform w/ great product team"
Dovetale is simple to navigate and includes great features for the cost. Mike & team are continuously working to add new features and improve their product and are always available to review features, assist with new campaigns, and troubleshoot when needed. They're very open to feedback to improve Dovetale for the needs of their community. Overall, it's a good product with a team that's consistently great to work with. The platform isn't as analytically robust as others on the market, but fits our companies needs at a very reasonable cost. The Dovetale platform and team have been key in helping us develop influencer marketing solutions in-house. "Dovetale is the tool I've been waiting for." Simple user interface, comprehensive data pulling, ease of reporting, attractive interface. There are no cons thus far to our use of Dovetale. Sit down for a demo and you'll be convinced. Matt and Mike are always willing to walk us through new features. Influencer tracking, reporting, and payments. Campaign tracking and reporting. Merged publicity, social and influencer reporting. Competitive benchmarking on social account growth. "Great product for social! " I like that I am able to find new influencers through advanced search who I can potentially activate for social media campaigns. These influencers are already an organic fit, plus I am able to narrow down my selection based on my target audience and reach. Given I'd like influencer content on blogs as well, I find it challenging at times to locate the right talent for all parts of my campaign activation. Social media is a fantastic way to engage with a large audience, however if I'm looking to drive sales (which many brands are), blogs are a necessity to the success of the campaign. I'm trying to find the right tools to locate and cast new influencers. I had not yet explored any campaign management features. In past roles, I had done this in-house. "Dovetale is revolutionizing the way we work "
Dovetale provides us with great technological features that assist us in our influencer recruitment and outreach. the support team and technology is the most impressive. i would recommend people trying it. Dovetale has substantially helped streamline our influencer outreach projects. the platform is pretty incredible when it comes to finding bots for accounts and influencers we are looking to work with. I really love how fast and simple the interface is. "A clean, easy, one stop shop to for finding influencers"
That anyone big or small can use Dovetale to find top influencers on all social platforms. The image recognition search is really cool. Not so much dislike, but I wish they pulled in blogger data. "Awesome tol - best in the industry"
A lot of tools try and do Influencer marketing but none can do it quite like Dovetale. The visual component is awesome, not to mention it is much more accurate than other tools out there. I havent found anything i dont like about Dovetale yet. We are integrating Dovetale with our product Domo. The amount of interest from our customer with our joint Dovetale/Domo app has been outstanding. Customers are seeing the true follower growths and follower understanding from the technology behind Dovetale. "Amazing product with incredible customer service "
Dovetale is extremely easy to use and the entire team listens to the feedback we give! They are extremely easy to work with and provide the best influencer marketing tools in the industry! I don’t dislike much about the platform or the team members. Everything I want or need is answered quickly. Learning more about social media influencers and helping to categorize the best people to work with! Also helps to find the top growing accounts on respective social networks! The team is responsive, empathetic, flexible and works collaboratively to ensure your satisfaction. 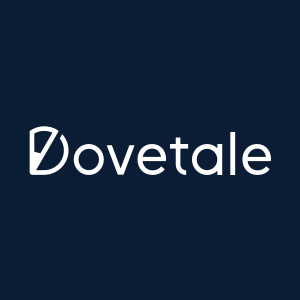 Dovetale is great, especially for brands looking for a tool that can aid in discovery and analysis of content creators in order to make more grounded decisions about who to work with. Dovetale has been a tremendous help for identifying, vetting and measuring the impact of creators through their social platforms, particularly Instagram. "Great tool with a helpful and adaptable team"
The team is extremely responsive and helpful in sharing custom data pulls when we need help. They also making training materials easily accessible for the whole team. Sometimes we need to evaluate accounts that aren't yet on the platform. It's an easy fix, but sometimes we don't build in time for it. We use DoveTale to help us be smarter about how we plan and execute Influencer Marketing programs. "Amazing! Would highly recommend to others"
Dovetail had great customer service. Their response times were amazing and they were able to answer any questions that I had. The entire suite of tools is very easy to use and intuitive. Its easy workflow helps save time and build process when working with influencers. Not too much to dislike about this platform. Customer service helps with every problem I have and the team is extremely easy to work with. The staff is extremely smart and helpful in explaining how to use their platform. The data provided is extremely specific which is super helpful for our clients. I honestly have nothing to complain about! We are helping our clients chose effective and on target influencers for their campaigns by weeding out those with fake followers and using the software to pinpoint audiences. "Dovetale helped me find influencers better suited for my product." I liked how Dovetale gives detailed demographics on influencer followers, such as where they're coming from, age, and what percentage is actually bots. I disliked that I could only do one advanced search at a time. We're seeing better results (more engagement on posts) from our influencers due to having better knowledge of their follower base. "Easy to use platform that gives you the metrics you need!" We love that Dovetale is able to provide us reach and engagement rate all in one place. We wish we could pull and see impressions for every platform as well. We never realized how valuable the engagement rate number truly is and Dovetale helped us realized that. "influencer marketing for my shopify store"
Really useful service. It's not free but it's worth it. I've seen revenue increase significantly from influencer marketing via dovetale. "Incredible Product for my shopify store"
I really love how affordable dovetale is and how they make every process so easy. the design is also beautiful. Easy to use! Intuitive but you can tell it's powered by some smart people. Talked to developers and they are always looking to improve my experience. Still working out some features. Would like messaging and CRM capabilities. buy it. use it. make money. Lets us find and track down influencers that are relevent. "The best social tool I've ever used in 10 years"
One of the few platforms that allows you to search relevant Instagram demographics, including bot followers. Search functionalities could be somewhat more refined. Influencer research, authenticity and advocacy. Dovetale is helping us fine tune and tailor our recommendations to achieve business results. There than a few visuals on the dashboard I don't have any problem with it. For anyone looking to utilize influencer campaigns on social media, Dovetale is a must buy. Prior to using Dovetale there was always a large degree of unknowns when it came to understanding influencer audiences, however, utilizing Dovetale this is no longer an issue because it gives me the insight I need. Not enough influencers populated in the system. While it is robust, it still needs to build out the database. Convincing clients of audience demographic for influencers and why they're appropriate. Helps us convince clients that certain people are correct for an activation while others may seem perfect but won't hit the target we want. "Perfect product for any business working with influencers "
Using Dovetale, I’ve been able to find and reach influencers with ease! It’s completely simplified my process, and has helped catalyze my growth efforts. Not too much to complain about. There are minimal issues with the product, and when i hit any problem, their customer service team immediately handles my problems! "Fantastic to date, super easy to use and data is extremely readable and easy to digest"
Great Customer Service! Responses in a very timely fashion. Never had any issues connecting to servers or logging on when I needed anything from Dovetale. Nothing. All great feedback dealing with Dovetale. Friendly and knowledgeable staff working actively to improve the product. The website looks beautiful - very user friendly. The product has improved the way our company performs certain tasks. * We monitor all Dovetale reviews to prevent fraudulent reviews and keep review quality high. We do not post reviews by company employees or direct competitors. Validated reviews require the user to submit a screenshot of the product containing their user ID, in order to verify a user is an actual user of the product. Hi there! Are you looking to implement a solution like Dovetale?